The ways of bringing up children depended on the social status of a family in the Grand Duchy of Lithuania from mid-16th century to mid-17th century. The upbringing was different in the families of peasants, burghers and the nobility. In rural areas, every pair of hands was important in all kinds of agricultural work. Even young children would join the adult world as soon as they were capable of helping in daily chores. Their brief childhood would last only until they were no longer dependant on outside help and care. Peasant children very rarely had a chance to learn the basics of grammar or faith in parish schools. Differently from Denmark where the idea of compulsory primary education was being brought to life since 1610s, children of most peasants and burghers in the GDL were illiterate. Their parents did not want to educate their offspring; on the other hand, primary schools were sparse due to shortage of funds to keep them. That is why historical materials related to the upbringing of children in lower-class families are rare. In contrast to that, historical sources shedding light on the education of children from the elite families and those of the nobility are plentiful. According to the Third Statute of Lithuania, a woman would enter the ranks of adults at the age of 14 while the corresponding threshold for men was set at 18 years. Theoretically, that could be the time when their education was usually finished. Each family would choose its own process of upbringing, because there was no uniform model of education in the GDL. Each family would allow different amount of time for the education of their children. Elite families tried to follow the European traditions. A birth of either a girl or a boy was a joyful moment in elite families. The arrival to this world of an heir who will eventually continue the history of the family was an important event. Sigismund I the Old, the King of Poland and the Grand Duke of Lithuania, wrote his wife in 1520 as he learned about the birth of his son: "Double and immeasurable happiness has reached us with the letter of Your Grace conveying the news about the successful childbirth and our sweetest son whom we have with the help of God as a guarantee of our eternal bilateral love. We are grateful to Your Royal Grace for this happy and pleasing news and we ask you insistently to take utmost care of your health. Tell them to give our most loved son the name of Sigismund during his baptism, the name that we will now both bear." The arrival of several daughters one by one, in contrast, usually meant the decay of the family because every daughter would take away some of the family's wealth as a dowry into other family after marriage. The birth of a daughter was nevertheless a joy too. Bogusław Radziwiłł (Lithuanian: Boguslovas Radvila), the Master of the Horse of the GDL, ordered to fire cannons in 1667 in Konigsberg on the occasion of birth of his daughter Ludwika Karolina who became the last representative of the Biržai and Dubingiai branch of the Radziwiłł house. An early death of any child would turn into a grave sorrow for parents. Theologians, jurists and pedagogues who were involved in solving education issues, all agreed that families and especially mothers must undertake the greatest responsibility of preparing their children for life, considering schools less important. Mikołaj Rej, a 16th century writer, wanted "mothers [...] feed and bring up their children themselves." According to the author of the 1640 threnody, "the true honour is not that of being a mother and giving birth to children but that of educating them properly and implanting in them fear and love of God". The Third Lithuanian Statute (1588) legally formalized the right of a mother to take care of her children until they reach the age of seven. The same practice was widespread in daily life. In defence of his right to retain the ownership of his lands, Jan Ośćik, a son of a high treasoner Hrehory Ośćik, stated before court in 1581 that "his father has separated him and his mother from himself, that's why he has received education on his own." The judges eventually ruled in his favour after that explanation. In magnate households, mothers would take care of their babies, toddlers and young children together with nannies and female courtiers. In the middle of the 16th century, Anna Chomecka was in charge of bringing up the sons of Mikołaj Radziwiłł "The Red" (Lithuanian: Mikalojus Radvila Rudasis) who gave her the manor in Astravas as a present in 1548. The tradition of establishing separate courts for children of the elite families became widespread from the early 17th century. In some families, parents would spend plenty of time with their babies and toddlers. Janusz Radziwiłł, the Castellan of Vilnius, and his wife often ate breakfast with their daughters in the early 17th century and asked them "not to smudge themselves as piglets". The surviving correspondence of wealthy families reveals parental love to their children. Parents would use diminutive forms of names when addressing their children; they would also take care of their health, attire and food. The aforementioned Janusz Radziwiłł asked his daughter to eat fresh fruits in the morning and to wash her teeth after meals; he also asked to maintain moderate temperature inside the house during the heating season. Moralists, such as Augustyn Ławski (1614), denounced unconditional parental, especially maternal, love to their children. To him, that kind of love was equal to "sheer illness and exhausting fever". Parents were expected to act sternly and to take a committed role in shaping their children's characters. Educators emphasised moral aspects of the upbringing, religious instruction (faith) and civic education (devotion to homeland) in the first place as well as teaching of customs. Children had to stick to the principles of religiousness, piety and obedience. They were expected to follow the examples of decent people because "a kid is like a monkey, he repeats everything he sees", according to Erasmus Gliczner, the author of the Poland's first pedagogical treatise published in 1558. Children would suffer punishment for lies, stubbornness and wickedness. Preaching morals was held to be insufficient, and cane was the most widespread means of education. Canes were used to educate girls as well, including Liudvika Karolina Radvilaitė. In his 1651 treatise "On the Politics of the Human Society", Aaron Alexander Olisarovius dedicated one chapter to punishment of children where he argued that "a penalty must not be heavier than an offence." As children grew older, the content of their education became different. 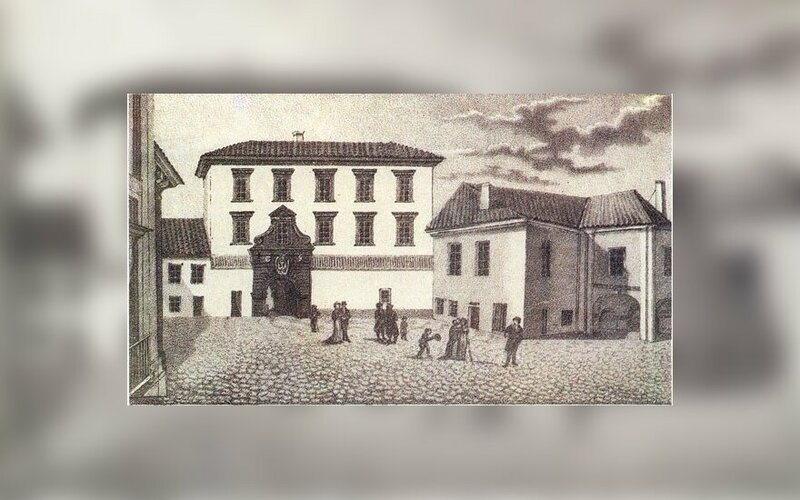 Adam Rasius, a professional teacher who worked for the Radziwiłłs, said in 1619 that "later education should be different for sons and daughters; sons should learn sciences and military matters, while daughters must learn economics and piousness". According to Olisarovius, girls need basic education in reading, writing and music. Needlework is the best thing they can undertake. Aristocrats and sometimes the nobility would educate their girls at home and the very level of the upbringing was quite high. About 80% to 90% of all female magnates in the GDL were literate and some of them knew Latin or German. All of them knew the Holy Scripture very well, had basic economic and legal education, were familiar with the chapters of the Statute, especially those related to their rights. They listened music, learned to dance and rode horses. Toys and games helped to introduce the little ones into the world of adults. Girls would play with clay or wooden dolls, some of which had moving legs and arms and wore expensive dresses. The upbringing of a girl would end up with her marriage. Magnates were more demanding as far as the education of their sons was concerned. The upbringing of boys would begin at home. Schools maintained by magnates usually accepted sons of the nobility loyal to them. Sometimes fathers would set very strict daily schedules for their sons, with lessons starting at 5.30 am and ending at 21.00 pm. Children had just one day of rest each week. Learning foreign languages was considered very important, and sometimes foreigners worked as teachers. Children would first start learning to write at the age of four and shortly after lessons in rhetoric would usually be added. Physical exercise and riding lessons were another two important aspects of upbringing. Janusz, a son of Krzysztof II Radziwiłł, received his first horse in 1617 when he was five. Boys played games that involved elements of the knightly culture, such as toy horses, military weaponry, and duels of knights. Chasing, "A cat and mice", hide-and-seek, and activities involving elements of hunting were popular field games among boys who loved action. Many teenagers aged 14 to 16 would be send to continue studies in Western Europe, mostly in Italy and Germany. Less well-off nobles would first send their sons to parish schools and later to gymnasium-type schools of higher lever, e. g. in Vilnius and Kėdainiai. 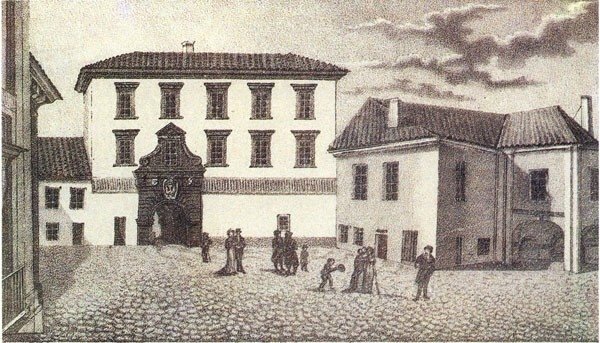 The Academy of Vilnius, established in 1579, soon became a solid alternative to foreign universities in the eyes of the nobility. Lithuanians and Samogitians accounted for a third of all students in Vilnius at the turn of the 17th century, while the remaining students were from Livonia, Prussia and Poland. University studies would end up the process of education of young men from aristocrat and noble families.